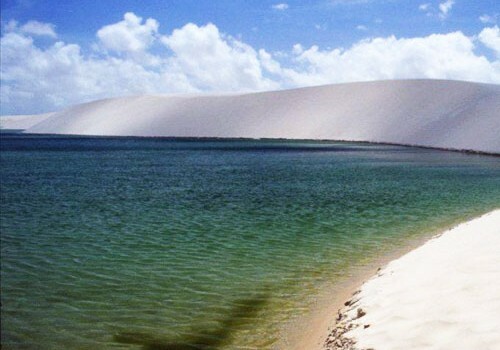 Lençóis Maranhenses (with Santo Amaro and Atins), Delta do Parnaíba and Jericoacoara. Impressive off-road trip through one of the most unique regions of the globe, the Route of Emotions – Jeri, Delta, and Lençóis Maranhenses. Fantastic landscapes such as “wilderness” of Brazil, full of crystal clear lakes, the only open sea delta in the Americas and one of the prettiest beaches in the world will be visited on this tour, which includes ecotourism, adventure, sun & beach, culture and cuisine. Three states of Northeastern Brazil will be visited in modern 4×4 vehicles and speedboats, besides several OPTIONAL ctivities such as walks, horse rides, panoramic flights, surf, kite and windsurf, bird and natural life watching besides living experience with local communities. São Luís: Arrival and departure transfers (regular). Santo Amaro: Tour by 4×4 to Lagoa da Gaivota, Espigão and Betânia (private). Barreirinhas: Tour by 4×4 to the lagoons Lagoa Azul and Peixes (regular), tour by speedboat by Rio Preguiças with visit to Vassouras, Mandacaru Lighthouse and Caburé (regular). Parnaíba: Tour by speedboat throughout Delta do Parnaíba – Delta Cruiser with Guarás (ibis) watching (private). Jericoacoara: off-road tour to lagoons Paraíso and Coração, Pedra Furada (private), Lagoa de Tatajuba (Lagoa da Torta) and Funil Dune (private). 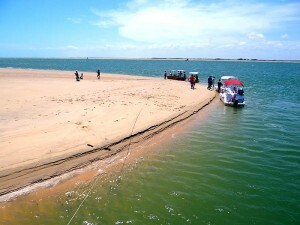 *Only for option Jericoacoara-Fortaleza by beaches: Tour / shuttle by 4×4 by the beaches of Ceará such as Preá, Icaraí da Amontada, Apiques, Caetano, Baleia, Mundaú, Trairi, Lagoinha, Cumbuco and Icaraí, among others – may change in order and itinerary according to natural conditions (private). 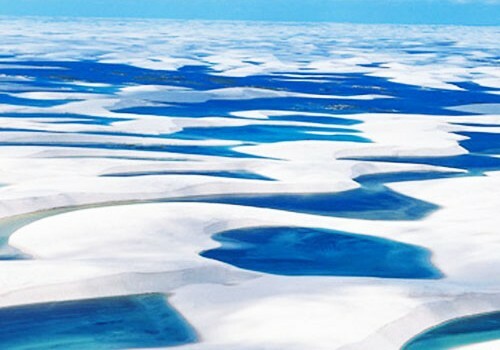 After breakfast, we will embark on mini-buses (optional: overflights by Grandes Lençóis) towards Santo Amaro in the Lençóis Maranhenses. After 3h00 we reach the village of Sangue from where we depart in 4×4 by trails of sand to the bucolic Santo Amaro, scene of the movie Casa de Areia (House of Sand). 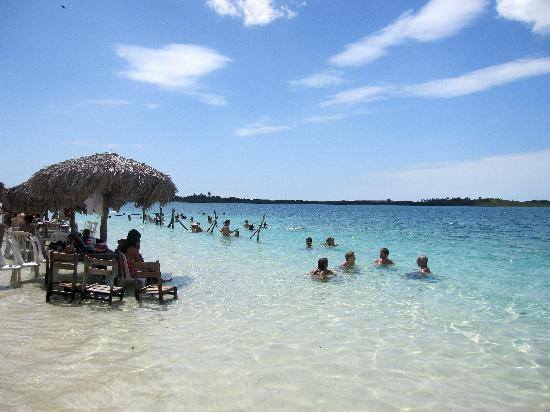 We will be received by the transparent Rio Alegre, which embraces the little town along with the coconut trees and dunes. After check in and lunch (not included), visit in exclusive 4×4 to the Lagoa da Gaivota (Seagull Pond), passing through the region of lakes and fields. 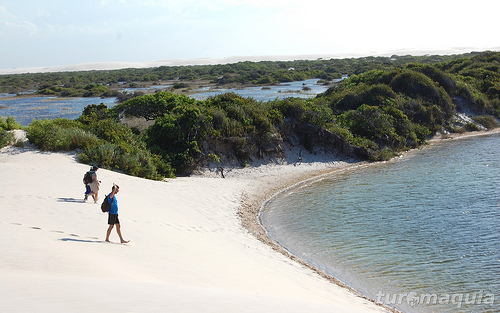 We will ascend by foot on top of the dune that will give us a splendid view of the Lençóis, with the magnificent Lagoa da Gaivota at our feet. It is worth a walk through the dunes and a dip in the aquamarine waters waiting for the fantastic setting of the sun. Overnight in Santo Amaro. 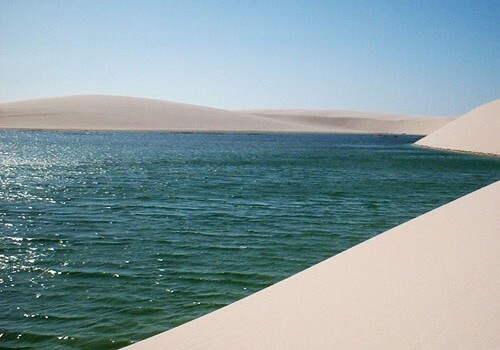 After breakfast and on board of our private 4×4 we will experience one of the most pristine and striking regions of the Lençóis Maranhenses. We’ll start with Espigão (Spike), a region of long and high dunes which divide our attention with the beautiful Rio Alegre and rich vegetation of the site. We on the magical village of Betânia on the banks of the pond, where we will make a pleasant canoe ride up until the giant dunes of the opposite side. The exuberant and overwhelming nature, the slow way of life of residents will cary us to an atmosphere of dreams. After lunch we will follow up in a private vehicle until Barreirinhas where we will stay for the night. This free morning will give the traveler a chance to know more about the culture by visiting the northeastern flour mill (“Casa de Farinha”), the Marcelino crafts community, or delving into the natural beauty of the region visiting other ponds in the park (such as Bonita, for example) or even delighting in the fluctuation on the limpid river Cardosa. These are options not included in the tour itinerary. 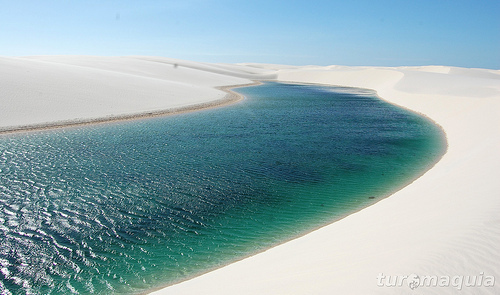 After lunch (not included), walk to the astonishing National Park of Lençóis Maranhenses. Aboard of our 4×4 and by raft we will cross the river Rio Preguiças. Then we will follow the trails on the sand for about 40 minutos until the lagoons Lagoas Azul and Lagoa dos Peixes with their startling crystalline waters. 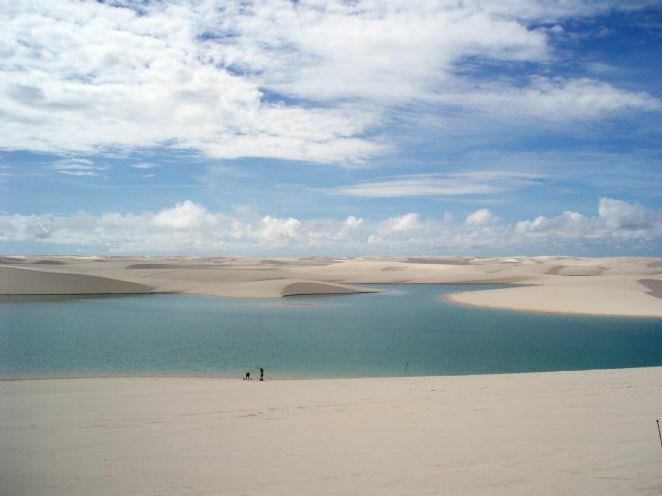 After a five minutes walk through the dunes we arrive at the famous Lagoa Azul, an irresistible invitation to dive. For those who want to explore the spectacular greatness of the Lençóis, the 20 minutes walk until the beautiful Lagoa dos Peixes is worth. Before we come back to the pousada, we will admire the sunset on the Lençóis Maranhenses, one of the most remarkable experiences that nature can give us. After breakfast, and with all bags packed, departure to the port where we will embark on fast motor boats up the river Rio Preguiças until the Caburé Beach. On the way, palms and mangroves are home to birds, reptiles and mammals. 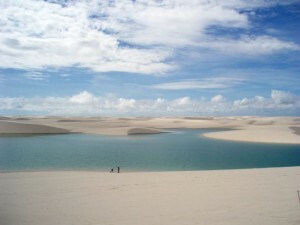 The first stop will be in Vassouras, one of many points where the dunes of the Rio Preguiças meet the Pequenos Lençóis. Monkeys (“macacos pregos”) and parrots amaze the travelers who stop to refresh themselves with cold drinks served at the shadows of the tents. We follow on the motorboat to the lighthouse Mandacaru in the village of the same name, which on top of its eight floors will reveal a 360 degrees view of all the exuberance of the place. We will go then to the small town of Caburé and its rustic inns and restaurants, where we will have lunch (not included). After lunch we will cross the Preguiças River to the village of Atins where we will stay for the night Optional: possibility to ride on motor boat until the dormitory of the birds. After breakfast, we say goodbye to the Lençóis aboard our powerful 4×4. Desert beaches, fields and dunes make up the landscape in this stretch. We will make a short stop for photos at the Oasis of the Rio Novo (New River), the beginning of Pequenos Lençóis. We will pass through Paulino Neves, and its streets displaying their white sand and its wooden bridge over the Rio Novo. Secondary roads will lead us to Lagoinha where we will appreciate Dona Madás’s shrimps (not included), while contemplating the placid lake. 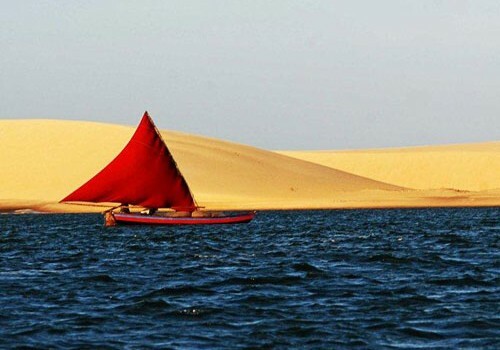 Then we will follow up Tutóia where we will take the speedboat with which we will cross the Delta do Parnaíba and its majestic labyrinth of islands, such as Igoronhon, Paulino, Caju and Canárias Islands, where we will stop at Morro do Meio for a quick walk on the giant dunes of Caju Bay and a swim in the waters of the Parnaíba River. The guarás (red ibis), a beautiful bird with its plumage of a bright red can be seen by hundreds, perching while the sun goes down at horizon (the sightings of animals depends on several factors combined), a rare and unforgettable spectacle. The arrival will be at the Port of Tatus, from where we will be transfered for about fifteen minutes to the hotel in Parnaíba. 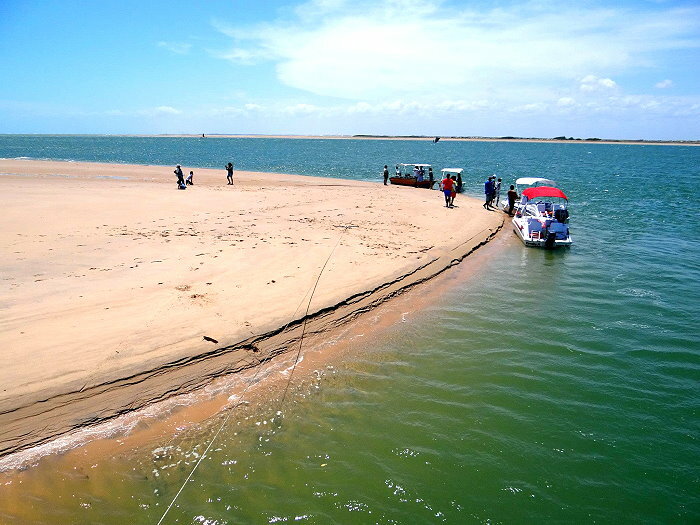 According to the tide, we will depart towards Jericoacoara by 130 km of asphalt until the ferry, at the mouth of the River Coreaú, with which we will cross to reach the white dunes and carnaúbas palm trees in Camocim’s Island of Love. The 4×4 will follow the waterfront until the beach of Tatajuba. We can descend the Funil dune using sandboarding planks leased at place (not included). In the Torta Lagoon we will be delighted with the small hammocks over the water and the fruits of the sea curious “live” menu from Didi’s restaurant. The second ferry crossing will take place on the Guriú beach, with its green-water channel and the cemetery of the mangrove trees. 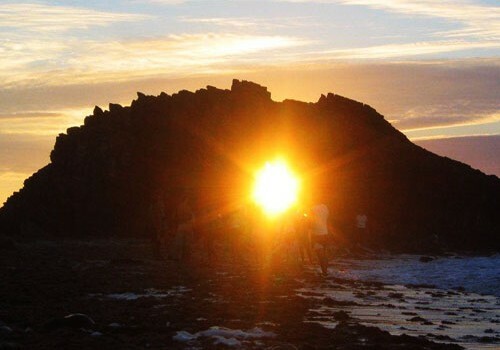 We will follow the waterfront to Jericoacoara where we will arrive in time to enjoy the sunset on the famous Dune of the Serrote, the daily ritual of residents and visitors of the place. 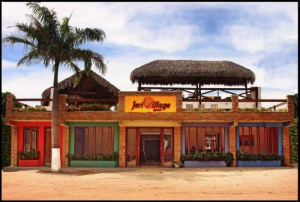 The overnight stay in Jericoacoara will allows us to taste the nightlife of the small town, its restaurants, shops and bars. 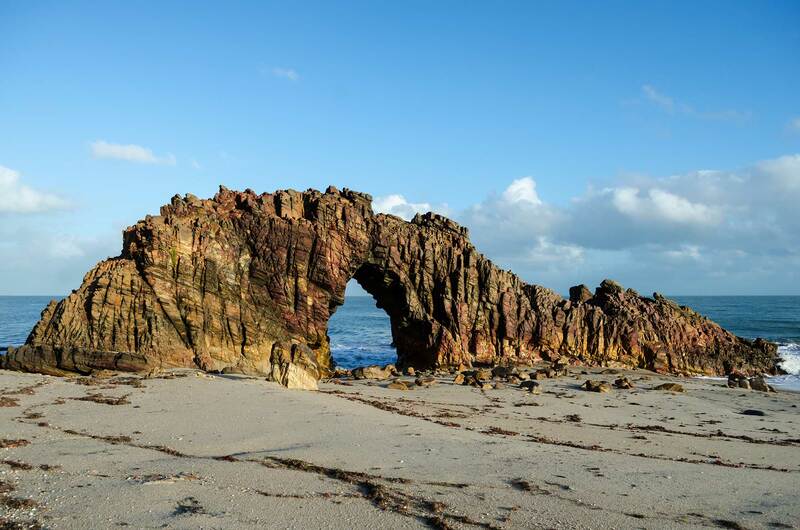 After breakfast, off-road tour at Lagoa do Paraíso and Lagoa do Coração lagoons, visiting the Pedra Furada (Holed Stone), another of Ceará’s postcard , which we will reach after a 20 minute walk from the Duna do Serrote. On the Lagoa do Paraíso, the vibrant colors of the place refers to the Caribbean paradise: white and very fine sands are confused with the green of the ground vegetation and coconut trees which in turn frame the turquoise crystal clear water. Excellent structure of bars and restaurants. Overnight in Jericoacoara. Note: On this day tours may be modified in order and route due to natural conditions. 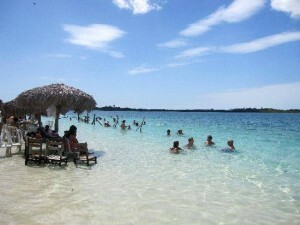 On this day the travelers choose three forms of transfert to Fortaleza: the road in buses or 4×4, or 4×4 by the beaches. In options by road we will do it by 370 km asphalted road until the capital. In option on the beaches, we will go in 4×4 trails through the seaside until the Praia do Prea, where after 14 km of secondary roads we will reach the pavement. 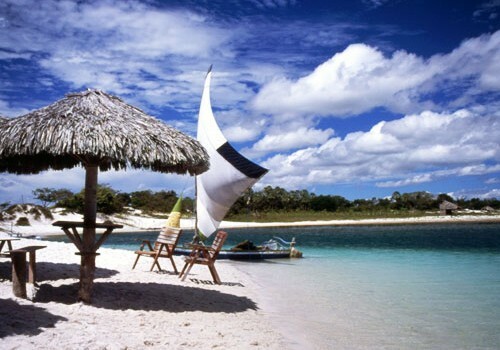 We will go through several small towns like Acaraú and Itarema until we get to the sands of the beaches of Icaraí da Amontada, Apiques, Caetano, Baleia and Mundaú, where we will cross by the ferry which takes us to the beach Guajiru. 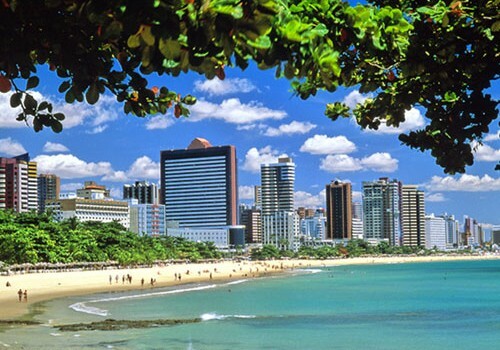 We will continue our adventure by the seaside and visit the Barra do Trairi, which we will cross by ferry, to reach the beautiful beach of Lagoinha, a postcard of Ceara. We will follow soon after by asphalt to the beaches of Cumbuco and Icaraí already in the metropolitan area of Fortaleza. Transfer to the airport. 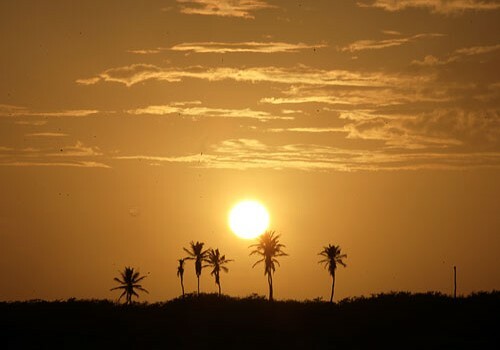 Throughout this coastal stretch of blue sea, the dunes and coconut trees will guide us through small fishing colonies interspersed with sophisticated beaches and luxury buildings, in a breathtaking landscape which is typical of the coast of Ceará. This day could be altered in its route and stop times for photo, bath and lunch on board due to the tides. 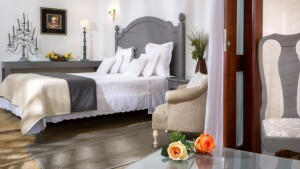 Confort and economy in hotels and inns specially chosen for our clients. 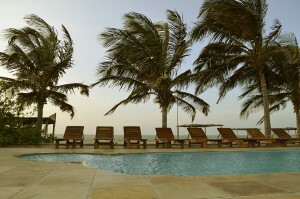 Great location and recreational outer structure, make up the perfect setting for your vacation. 50 Standards fit all equipped with LCD TV and 32 cable to the TV, Split air conditioning, refrigerator, telephone with direct dialing and others. In addition to a great location with easy access to historic downtown, shopping malls, beaches and airport. 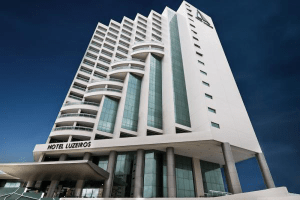 The Premier Hotel combines: distinctive architecture, honoring historical aspects of the city of São Luís, international quality standards, modern apartments, free WiFi, and practical services. 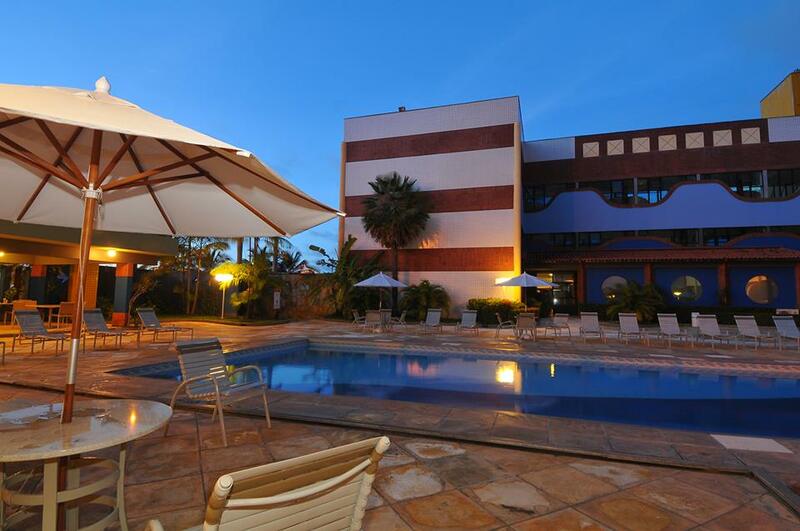 Excellent choice of Hotel, within reach, strategically located between two of the most beautiful postcards of São Luís: The Ponta d’Areia Beach and Jansem Lagoon. 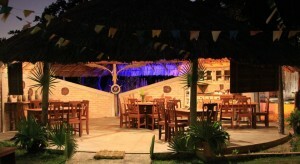 On the banks of the Rio Alegre, Pousada Água Doce inn has restaurant in its structure. The eight apartments are simple but clean, airy and equipped with air conditioning. Cashew hostel located by the river Alegre, restaurant overlooking the river. 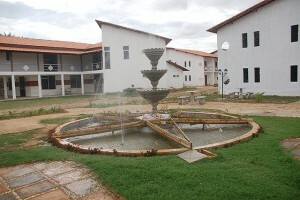 All apartments with air conditioning and electric shower. 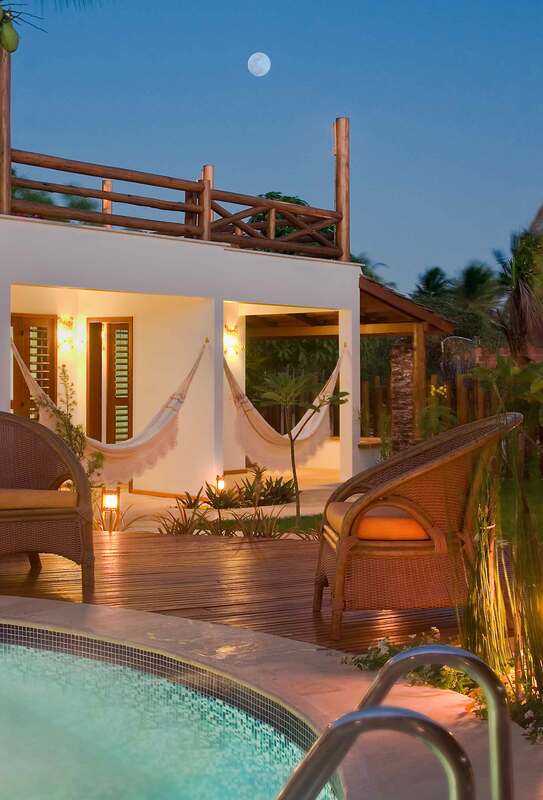 In the midst of a rich green area, the Pousada do Rio has decoration inspired in Maranhao culture, as well as the regional menu of the restaurant. 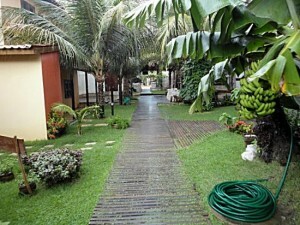 It has twenty-four apartments with air conditioning, TV, minibar and hot shower. A small beach in Rio Preguiças provides dives. 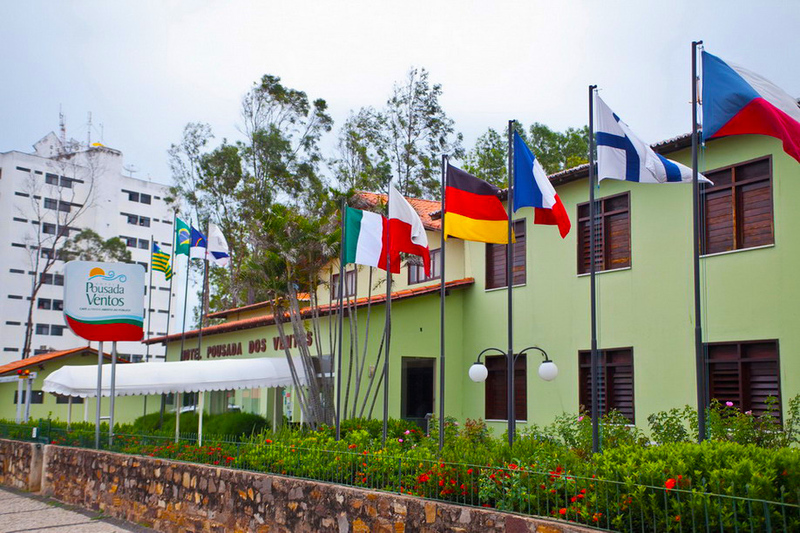 The hostel has a privileged location right in the city downtown, close to restaurants, cafes, banks, travel agencies, craft gallery and facing the dune and beach of Rio Preguiças (city’s postcard) and the River Preguiças pier. It offers accommodation with air conditioning, balcony and free parking. In the community of Atins, Rancho dos Lençóis has a primitive charm in its design. It has a small pool at its center. 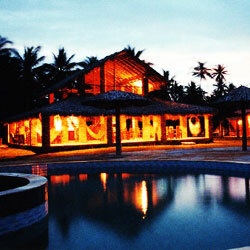 Cozy between coconut trees, with cottages, rustic and comfortable service bar and restaurant. 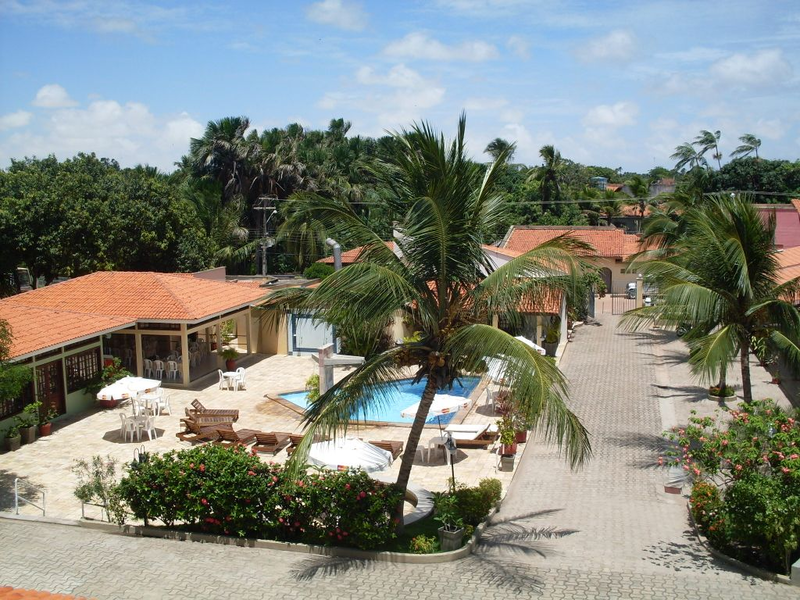 The Pousada Jurará (Inn) is situated in the fishermen’s village, in the main street in the village of Atins, at the east entrance of Lençóis Maranhenses National Park just 200 meters from the beach (outside port). The hostel is all terraced with stone paving and ipe wood, offers a pleasant rest area and contemplation of the daily movement of the Atins community. It also has a bar and snack bar (Sebastian bar). 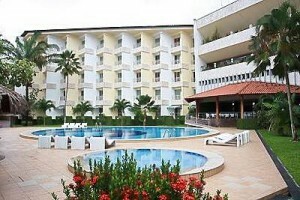 The Delta Park Hotel is located in large and beautiful green area along the River Igaraçu. 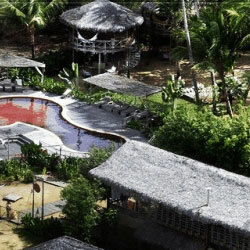 Its structure includes a restaurant, laundry, fish and pay ecological and wi-fi zone. The accommodations have air conditioning, TV, refrigerator and hot shower. Peace and comfort is what provides the Portal dos Ventos. 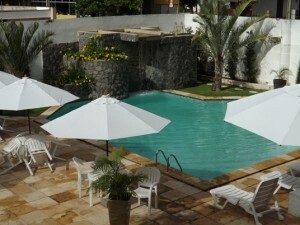 Well located in a residential neighborhood with easy access to restaurants and bars, among other amenities. Apartments have air conditioning, TV, minibar and hot shower. It offers laundry services and wireless internet. The recently renovated Jeri Village Hotel,with an excellent infrastructure: swimming pool, bar, leisure space and privileged location. 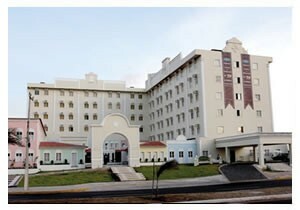 The hotel now has 28 suites equipped with air conditioning, TV, minibar and hot shower. 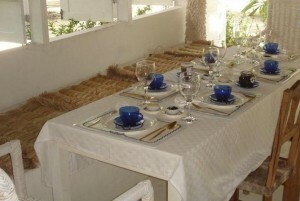 Located just 50m from the beach and next to the main square near restaurants, bars and shops. The Inn features 20 comfortable and refined rooms that are cozy and offer a harmony of colors in your decor mixed with natural wood accents. 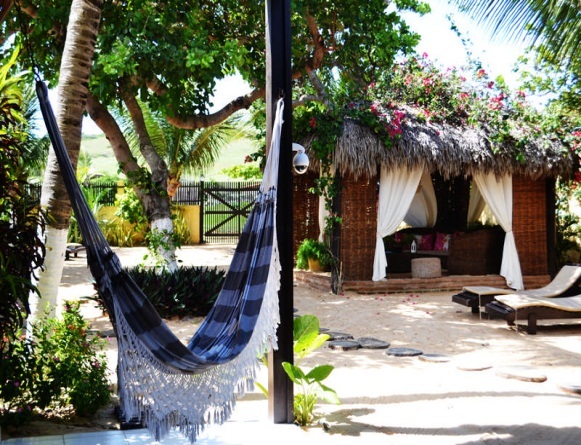 The Pousada Vento de Jeri is located in the village of Jericoacoara, on Main Street, about 750 meters from the beach and 450 meters from the center, where there are most of the bars, restaurants and local attractions. The apartments have air-conditioning Split, TV, minibar, safe, free wi-fi network, private bathroom with hot shower, balcony with hammock and, in some cases, also a well-structured kitchenette. Just steps from the beach on Main Street, presents his guests total ease of movement through the village, allowing comes and goes without fatigue. For those who simply want to relax and watch the world go by, the hostel’s bar is the ideal place: with their networks and sofas, works as a cabin where you can watch the parade Jeri’s life. The best cost-effective rate. 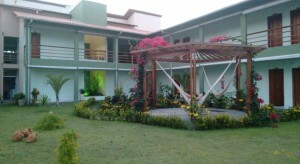 Hotels and tourist lodges and comfortable to hold a certain charm functional. 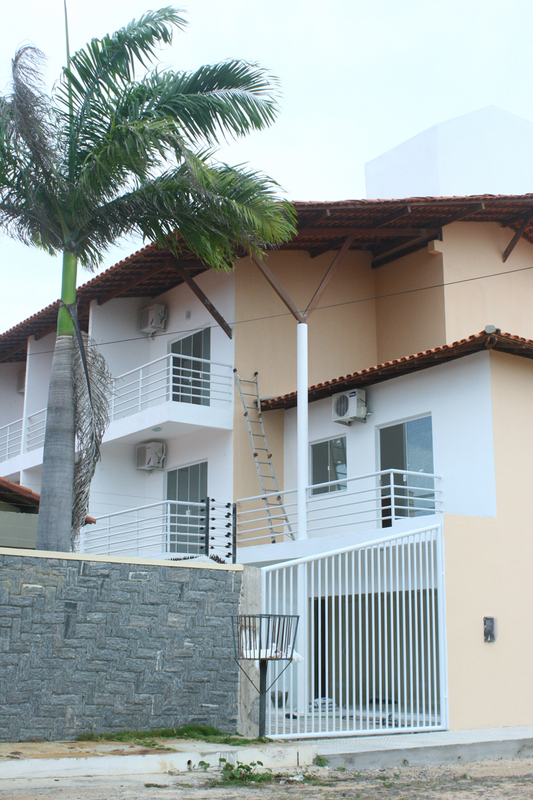 Excellent location in the historical center of São Luis, next to the Plaza Pedro II. A pool bar, coffee shop, fitness center, laundry, lobby bar, massage room, game room, sauna. Two hundred rooms with air conditioning, wi-fi, minibar, balcony, cable TV. At Hotel Praia Ponta D’Areia, you can enjoy the comfort of cozy rooms overlooking the sea, Jansen Lagoon or the swimming pool, just 6 km from the center of St. Louis. 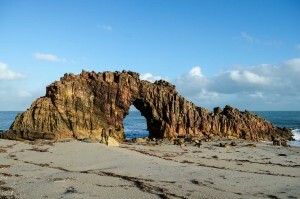 The famous Ponta D’Areia and Jansen lagoon are a short walk from the hotel. In addition, the surrounding area offers numerous bars, restaurants and nightclubs as well as shops, shopping malls and supermarkets. In addition to air-conditioned rooms, the hotel offers an outdoor pool where you can enjoy the nice weather while savoring cold caipirinhas. Room service is available 24 hours. 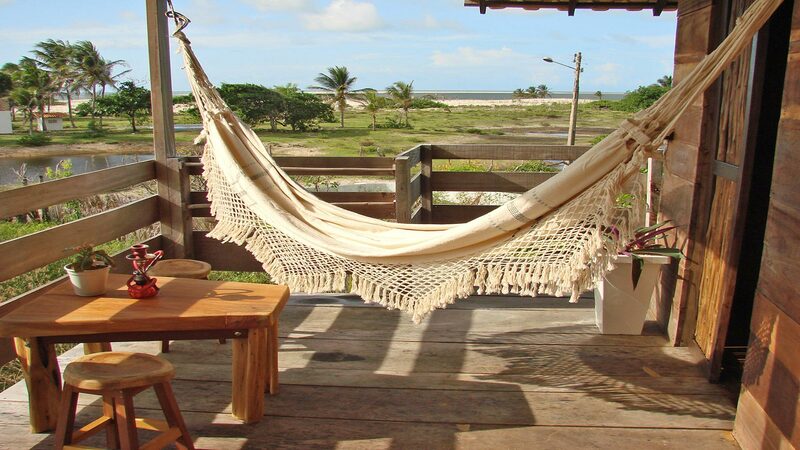 The Pousada Rancho das Dunas is located on the banks of the river Alegre, opposite to a small beach on a beautiful green area. The Inn has 12 rooms with TV, minibar and restaurant. Ciamat Camp è a large garden full of trees and flowers banks of the river Alegre. Few refined wooden chalets inserted in the middle of uncontaminated nature. The nets hung to trees await you for peaceful relax between a tour and a bath in the river. At your wake up every morning a good breakfast of juice, fruit and traditional sweets will be served, at its discretion, in your garden, patio or in the river. We also have a catering service with multiple options to choose from meat, fish or shrimp. 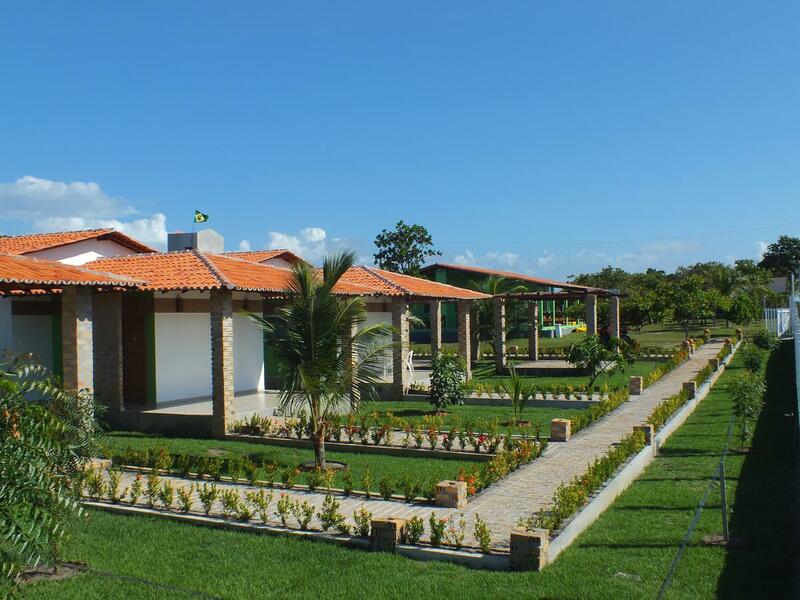 With great location, one of the finest structures of Lençóis Maranhenses, with pools, game room, restaurant, bar by the brook, convenience store and handicrafts, hammocks and playground. 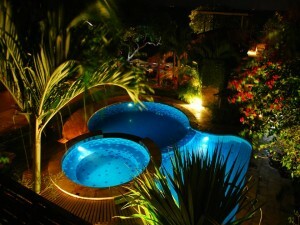 There are 33 chalets with balcony, living room and suite, equipped with split air conditioning, TV, minibar and hot shower. At just 700m from the city center, the Pousada Murici features 16 apartments that include air conditioning, TV, fridge, hot shower and bed box. 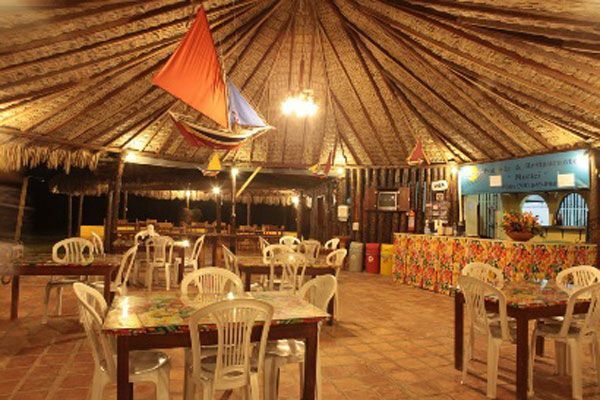 In the guesthouse’s restaurant you will find the best dishes from Maranhão cuisine based on seafood . And besides, you will find the famous Pousada Murici’s mocotó dish and other typical foods of the Northeast. The Inn Paradise Sheets has 10 cozy suites consist of Queen sized bed and / or single bed with mattresses of pocket springs, LED TV with satellite dish, air conditioning type Split, fridge and electric shower. Wi-fi at the reception. In our air-conditioned dining room we offer a tasty breakfast with regional fruits and juices, breads, tapioca, cakes, etc. The Cajueiro Atins is an exclusive retreat that offers the best in comfort for those who want to know the area and have direct contact with nature. In addition to accommodation (9 suites, 6 quadruple and 3 doubles), the Inn offers a full-service dining with dishes, maintaining regional identity offering fresh and natural dishes are our business card. 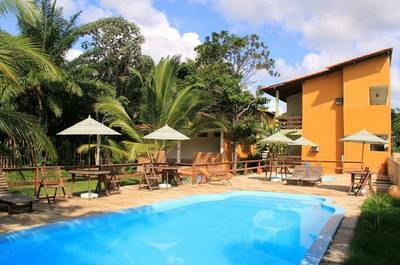 Pousada Maresia and ‘located 200 meters from the beach and the small square of the village, only 400 meters from the Natural Park of Lençóis.The structure and ‘consists of two areas, a more private part and separated from the main structure with wooden chalets and the main area in our tropical garden, with restaurant, kite school and other accommodations. Excellent choice of accommodation with easy access to restaurants and bars, among other amenities. A swimming pool, restaurant, sushi bar, gardens, tennis courts, playgrounds, wi-fi, laundry. Rooms with air conditioning, TV, minibar and hot shower. The attendance is of high standard of distinction. With privileged physical spaces, large recreation area with pool and entertainment, complete accommodations with daily room service, wi-fi, reception of Nautillus Hotel is synonymous with charm, good taste, privacy, sophistication and comfort level of care summarized in 24h attendance, parking with 24 hours security, event halls and american bar. 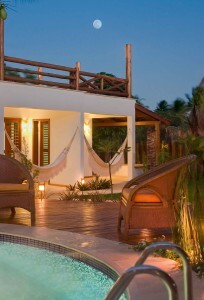 Not only for its beauty but also by the comfort and cleanliness of their accommodations Pousada Windjeri stands out. The relaxing environment and peace, along with its flower gardens and its architecture, make the your stay perfect! 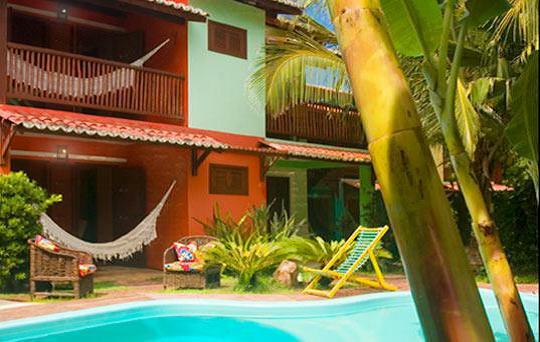 A few meters from Praia das Dunas and with the main scenario the Sunset Dune; the sea; fishing boats; your palm and coconut trees and in the late afternoon, the sails of wind and kite surfing in the breeze of the trade winds. 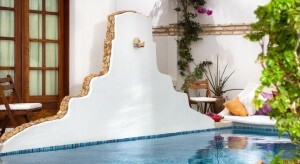 Arranged on two floors, the hotel has 11 rooms built with care and designed to meet the most diverse demands. 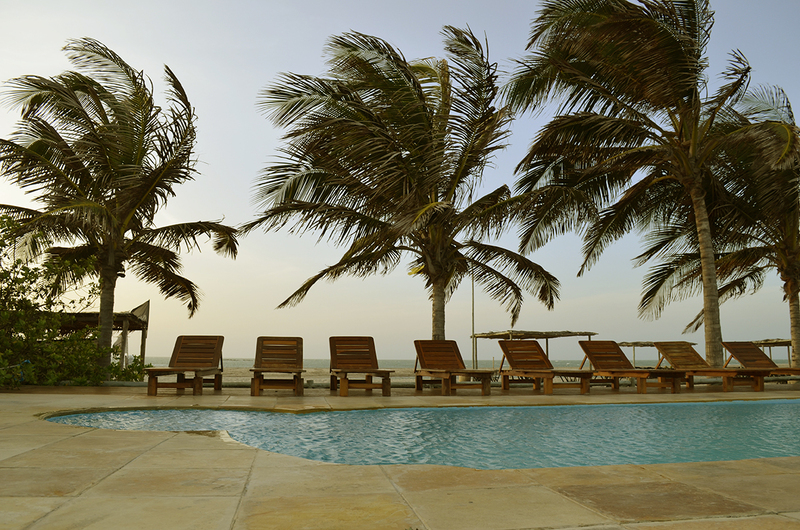 With 2 large terraces with hot tub where guests can enjoy a breathtaking 360 degree views of white dunes and blue waters of beautiful nearby beaches, the hotel also has a swimming pool and a shower area. We offer daily choices of tasty dishes of Italian and international cuisine. It is situated 70 meters from the beach and dune Pôr-do-Sol (Sunset Dune). Charmingly decorated, has a beautiful tropical garden and swimming pool. Rooms with air conditioning, TV, minibar and hot shower. For the most demanding, combines superior apartments in the best hotels and hostels in each destination. Pestana Sao Luis Hotel is located in Calhau Beach, just 10 minutes from the Historical Centre and 20 minutes from the airport. It has restaurants, bars, spa, saunas, fitness center, tennis courts, swimming pools, games room, massage service, garden, soccer field, parking. Luxury apartments equipped with cable TV, air conditioning, hot shower, private balcony, minibar and internet. It is one of the finest hotels in the Sao Luis. 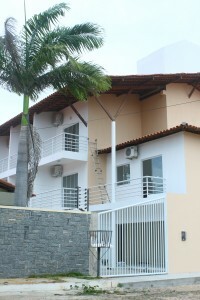 Located in prime area of the city, it combines modernity, technology and functionality. As part of its structure there is cyber, spa, fitness center, pool, restaurant and panoramic bar. 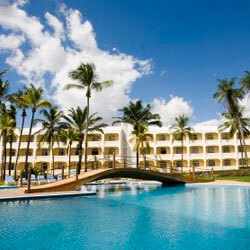 With view to the Atlantic, its rooms have cable TV, air conditioning and minibar. 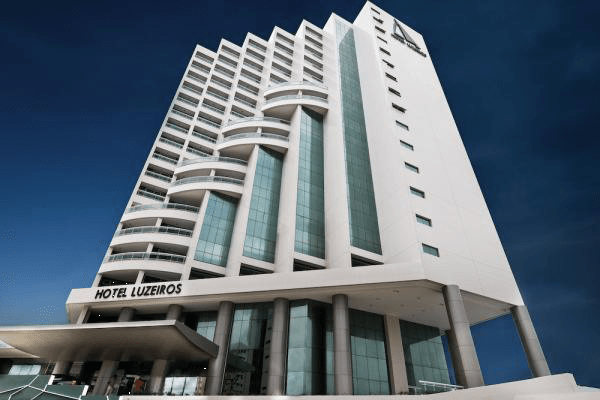 Located in a large green area on the banks of the Rio Preguiças, the Gran Solare Lençóis has cyber, fitness center, changing room, kids club, pier, 720 m2 swimming pool, wet bar, restaurant, games room, massage room, sauna and wi- fi zone. Rooms with air conditioning, minibar, internet, living room / dining room, cable TV, balcony with hammock. In the midst of an area of 200.000m ² of virgin forest on the banks of the Preguiças River, the Port Preguiças excells in every detail. Spaces, antiques, works of art, fine craft and plants have a unique environment. Cabins are 58m ² and feature air conditioning, cable TV, refrigerator, hot shower, goose feather pillows and balcony with hammock. 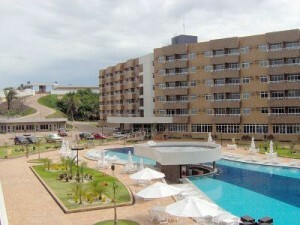 It is situated in front of Ponta da Brasília, at the mouth of the Preguiças River, facing the ocean. Filled with works of art, this sophisticated inn is rustic-chic style, fully integrated with nature, in the midst of a huge garden. 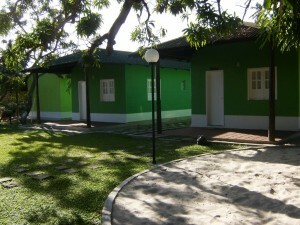 Its suites are equipped with fan, safe mosquito nets and hairdryer. 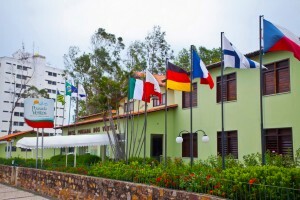 The hotel is located in Plaza Santo Antônio area. It has 22 suites, 7 colonial, Bussines Center, Welfare Space, decorative items from Europe, most secular pieces that no longer exist in Brazil. Hotel lighting is all colonial. All suites have Split air conditioning, 32 LCD TV, digital safe, telephone system. A bold project where rustic and sophisticated come together for the benefit of comfort and nature preservation. 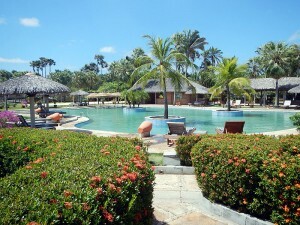 The continuous improvement in services and equipment is the main focus of Carnaubinha Beach Resort. 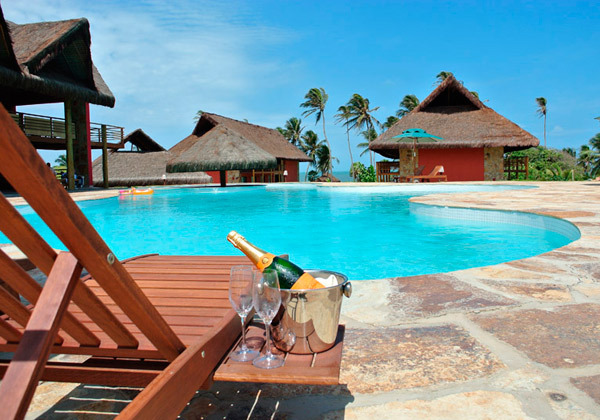 The Carnaubinha Beach Resort has 8 luxury suites. The suites are equipped with minibar, 32 “LCD TV, cable TV, Internet, Split Air-conditioning, cabinets designed, hammock for arming in the balcony and a privileged vista. The bungalows were built in the seaside are equipped with air conditioning, refrigerator, TV, hot water and a balcony with stunning views. Comfortable accommodation, combined with the charm of a rustic building, offer guests a highly pleasant stay. 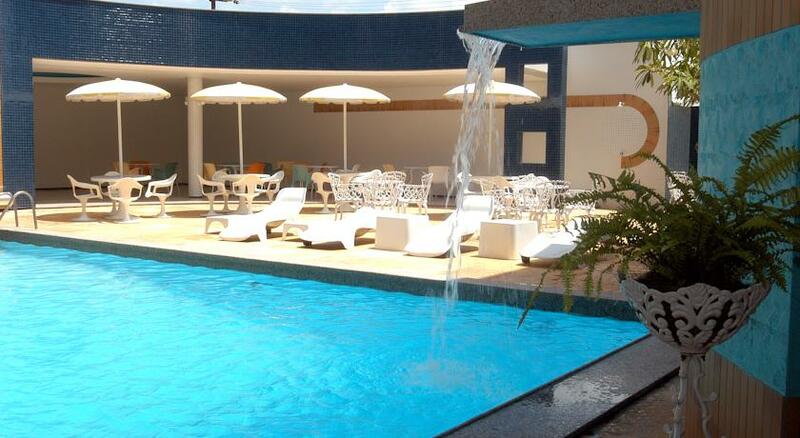 The ideal place for your rest and recreation in Piauiense coast. 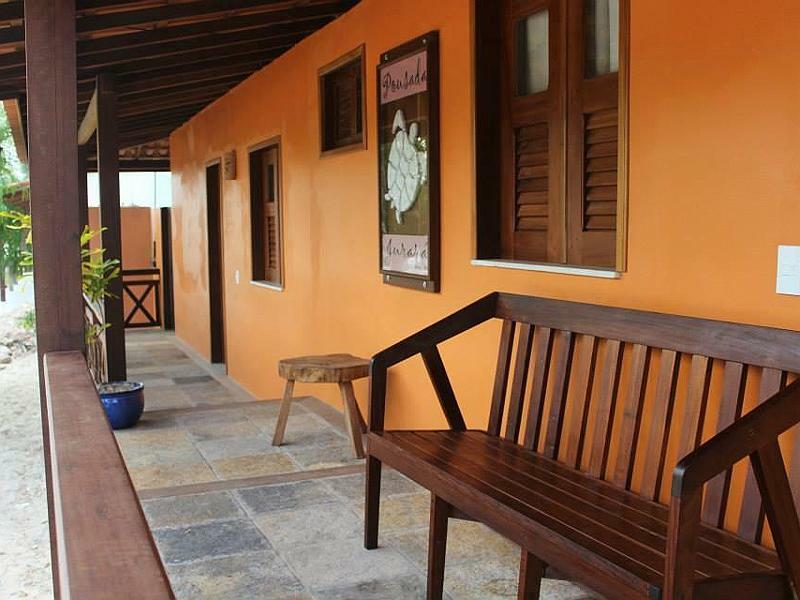 With only 14 apartments, the very exclusive Pousada Jeribá in its personality brings a rustic and intimate in its concept. With a privileged location by the sea of Jeri, it is also just a few meters from the quiet and beautiful beach of Malhada. Gardens, swimming pools (including hydro), beach bar, restaurant and a careful service make this inn one of the best choices. His exquisite apartments have air conditioning, cable TV, minibar, hot shower, feather pillows and a whirlpool bath. 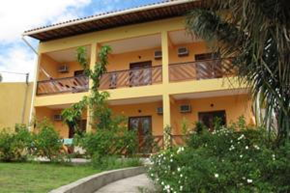 Beside the Dune of the Sunset and close to the sea of Jeri, this hostel has a unique style to receive its guests. 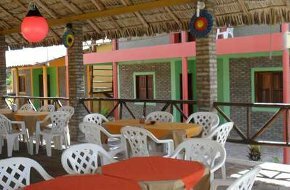 Its rustic-chic design is full of personality and good taste, a pool, lounge, bar, restaurant, infantil nursery, hammocks, reading and relaxation areas, massage gazebo, wi-fi and other amenities. Their chalets are spacious, airy and absolutely integrated into the environment. 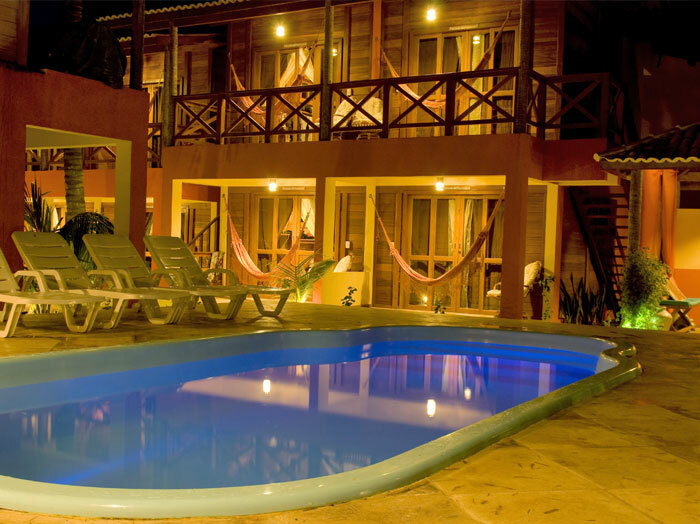 For many it is the best way of lodging in Jericoacoara.